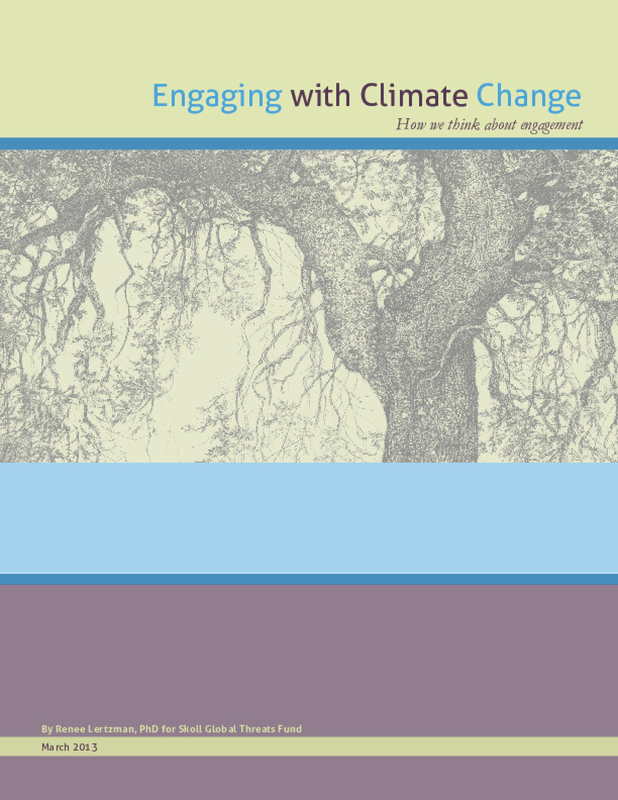 This report assembles an overview of the schools of thought informing our current conceptions about engaging people with climate change. In much of the thinking today, people's behavior is often seen as a barrier to overcome, a target for carrots and sticks, or an opportunity to engineer a better result. "Engagement" implies a deeper connection between people and climate change, and so offers a further step toward addressing the risks. It is clear that climate change will not be mitigated effectively unless more people are far more engaged in doing things differently. Copyright 2013 by Skoll Global Threats Fund. All rights reserved.